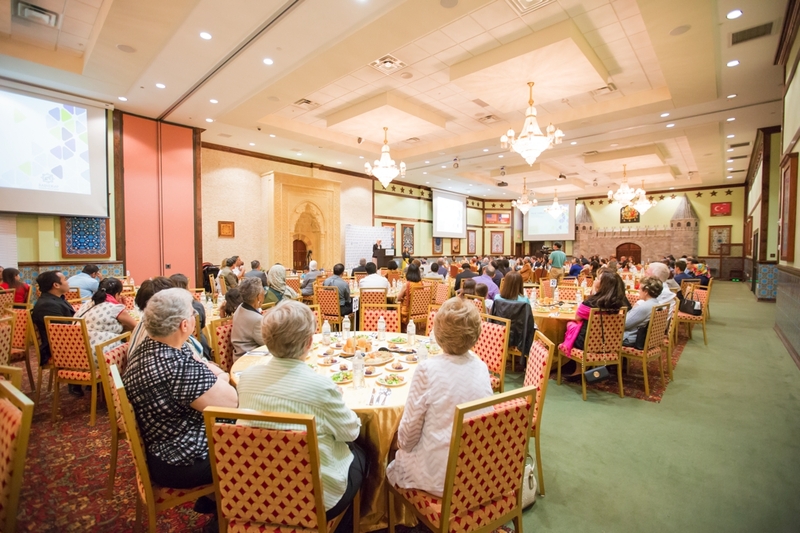 June 18, 2016 – Houston, TX — The Annual Neighborhood Iftar dinner was held at Raindrop Turkish House on June 18th, Saturday. “Living together” was the theme of this year’s gathering. 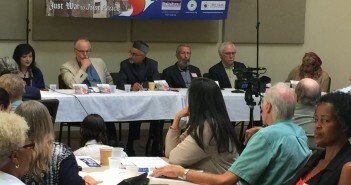 An amazing diverse group includes 300 people from all over the world was there including Congressman Al Green, Rep. Gene Wu, Texas State Representative; Mike Laster, Houston Council Member and KP George, Fortbend ISD Board Member. The program started with welcome remarks by Filiz Camuz, Executive Director of RAWA Houston and Mahmut Gok, Executive Director of Embrace Relief Foundation. The keynote speech was given by Dr. Dogan Koc, Executive Director of Gulen Institute at University of Houston. “Living together is an art of living together with your family, with your neighbors, with people in your city, nation and finally living together with the whole world in a harmony and peace” said Dr. Koc in speech. A brief introductory video about Ramadan and fasting was also shown before dinner time. The food was ready and when the time is up, call to prayer by Faith Bayar let people to start eating. During dinner time, a fabulous water marbling art demonstration was done by Nazli Cizmeci, ebru artist and instructor followed by Congressman Al Green’s remarks. He humbly welcomed guests at every table and shook their hands. “Houston is the most diverse city in US and this is our richness,” said the Congressman in his remarks and followed by talking about how Raindrop contributes to our community in terms of promoting peace and understanding by bringing people together. 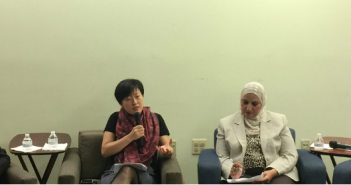 “There are 85 languages spoken in my district. When we have these kinds of meetings in this fantastic Raindrop Center, when we come here, it is community coming here. 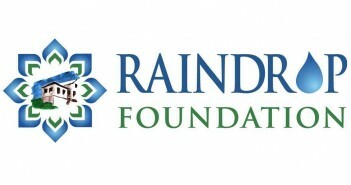 We thank you and the Raindrop Center for that not only for the physical investment but also you make an investment for this neighborhood and community. You and Raindrop Center become the face of Turkish and Turkic people and you are our friends, said Council Member Mike Laster. The last speech was by Naomi Ostfeld, Rawa Advisory Board member. She gave some hints to build better world to be able to live together in peace in her speech. The surprise of the evening was the live Sema performance by a whirling dervish. This ritual, comes from Rumi tradition, was speechless for everyone who watch the dervish while he was spinning around with one hand up and the other one down. The program was over with closing remarks by guests. Everyone enjoyed the food, warm conversations and inspirational speeches.